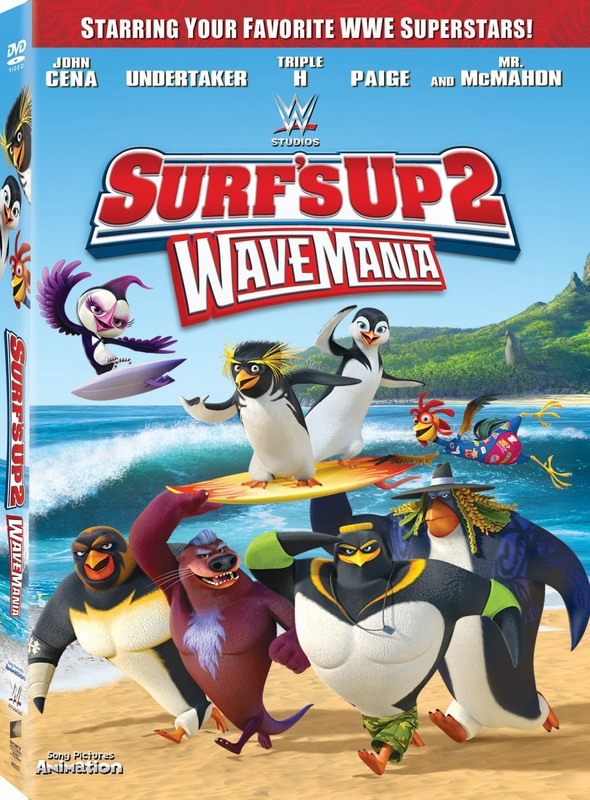 Out Now on DVD and Digital Download from Sony Pictures Studio and WWE Studios is Surf’s Up 2: Wave Mania which stars WWE Superstars John Cena, Undertaker, Triple H, Paige and Mr. McMahon who are the “The Hang Five” along with Jon Heder, Diedrich Bader, and Jeremy Shada. Cody, Chicken Joe, and Lani are back in their most radical surfing dream team, The Hang Five, puts Cody and his friends to the test and teaches them the meaning of teamwork as they journey to the most legendary surfing spot on the planet The Trenches located somewhere within the ominously named Slaughter Island where legend has it, they’ll find the biggest waves in the world. On the DVD is also Bonus Material including bloopers, Behind the Mic: Hanging with the Dream Team, Chicken Joe’s Extreme Slaughter Island Tour, How to Draw Your Favorite Characters with Director Henry Yu and Inside the Music with Composer Toby Chu. My Opinion: This movie is great for the entire family as you will laugh and learn about teamwork along with being engrossed for the entire movie. If you enjoy animated movies and surfing you will love this!